Royal Hylian Crest There are 4 Reviews. 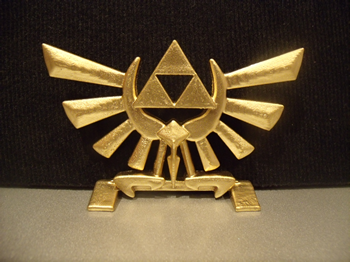 This royal crest is a symbol that appears throughout the land of Hyrule in many games within The Legend of Zelda series. Great as a book shelf or fireplace mantlepiece decoration.